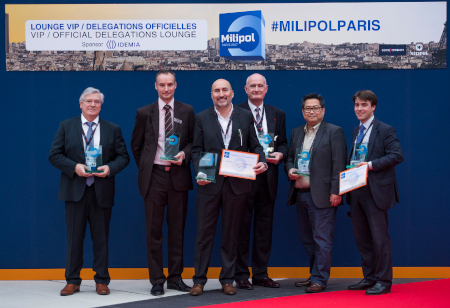 Following the success of the Milipol Innovation Awards first edition, Milipol Paris will once again organize the competition reserved for all the companies exhibiting at the 2019 event. This competition aimed to reward the most innovative companies in terms of products, materials, services, solutions or business models related to the homeland security industry. Throwback on 2017 winners and finalists. Free competition only open to exhibiting companies (which are not part of the jury members) of Milipol Paris 2019. To agree with the competition rules. To complete the entries in English on the Exhibitor Area by 27 September 2019 at midnight (French time, GMT+1). Competitors may submit one or more entries, and a same entry can be submitted in two different categories max. Have been released or officially announced between 19 November 2017 and 19 November 2019. At least, be prototypes which can be presented to the judges if requested. The competition rule will be soon available. The evaluation of entries and the selection of the finalists will be done thanks to the innovative nature of the technology, product, etc. proposed by the competitor (10 points), the opportunity for the market (8 points) and the relevance of the arguments (2 points).